A recent McKinsey survey on enterprise risk management (covering 15 global oil and gas organizations and over 50 global banks) elucidates that people and performance management are perceived to be an elusive (very lucrative, therefore) pie for risk management functions, which only a handful of lucky ones get a share of. And for good reason, too—risk management practices are now standing at uncharted cross-roads across industries—whether financial institutions or in other corporate domains. Unprecedented regulatory requirements and growing complexities are slowly (but steadily) moving the needle in the global regulatory landscape, constantly setting new benchmarks in best practices, fueling the demand for new-age risk-management functions and professionals. Gone are the days of risk-management professionals whose sole armor was their technical competence. Risk and control functions have come a long way, breaking their archaic straitjackets. New-age functions demand people be ‘credited’ with an assertive, creative, and adaptable mindset, in addition to technical skills. And with these changing skill requirements in risk and control functions, a tectonic shift is coming into play in people and talent management practices across the entire global risk management talent pool. Although individual talent management—which revolves around drawing and nurturing individuals—isn’t a forgotten chapter, a new avatar—collective talent management—is gradually wooing talent professionals, where a heady concoction of talented risk management professionals synergize optimally to ensure effective talent management alongside other functions. Nonetheless, within the elements of risk and control functions, the buildup of different talent-management capabilities isn’t a smooth-sailing proposition. If industry experts are to be believed, and they usually are, professionals involved in risk and control functions are bound to keep their finger on the ever-changing regulatory pulse. 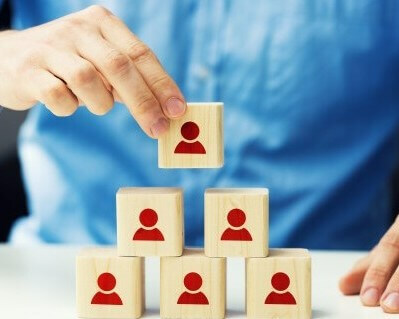 Talent management professionals in this domain, are, therefore, feeling the need to pull out all the stops to set the future course of their people-management approach, strategically. Draw and hire talent using captivating stories for working at risk management: Arguably, the dearth of a truly captivating employee value proposition for the risk management function poses the biggest hiring challenge. The trick to attract the best risk and control functions talent lies in framing an invigorating story of risk management nothing less than a “talent factory.” Come out of your ‘cozy n’ rosy’ recruitment practices, push your limit, put on your thinking cap, and draft such a compelling employee value proposition. In addition, implementing innovative sourcing methods will worth your while…whether you like it or not. Train and nurture employees by adopting holistic learning as well as cross-organizational training: A no-brainer, actually. Break the axiom of ‘one-size-fits-all’ or all-inclusive training approach, if it rules your organizational training roost. Introduce comprehensive training curricula with four dimensions—client-organizational behavior links to business initiatives, leadership skills, and connectivity and give all your training initiatives a complete strategic perspective. Well-nurtured employees are found to be more loyal to their organizations, believe it or not…but it’s a proven fact. Morph employees into well-rounded leaders by providing well-defined career paths: Risk management, especially in the banking sector, is considered as the “dead-end for second-class people.” If such a notion is choking your employee, don’t rest on a placebo. Instead, think of an antibiotic to annihilate it from the roots. Present your employee with two/three well-defined risk-career paths. It’ll ultimately pave their career path and the success path of your talent strategy, too. Go innovative while planning rewards: Not only your talent strategy, but reward programs of your organization also deserve a spark of innovative ideas. Although financial incentives still claim the lion’s share of reward programs, big firms are going the extra mile to woo employees working for risk roles. After all, it’s less risky and more rewarding to reward your risk and control professionals innovatively. So, if talent dearth in your organization’s risk and control functions give you countless sleepless night, the time has come to put an end to it and start 2019 on a new and effective note.